Vanessa and Chris are the cutest couple and Mark and I had so much fun photographing their engagement photos at The Jeffery Open Space Trail. This sweet couple brought along their two darling pups for the pictures too. We had a great time walking around the various areas of Jeffery Open Space Trail. it is a long nature area in between housing tracks with beautiful landscape, trails and bridges which made for the perfect photography location. When I suggested this location to Vanessa she fell in love with it and their engagement photos turned out so great. 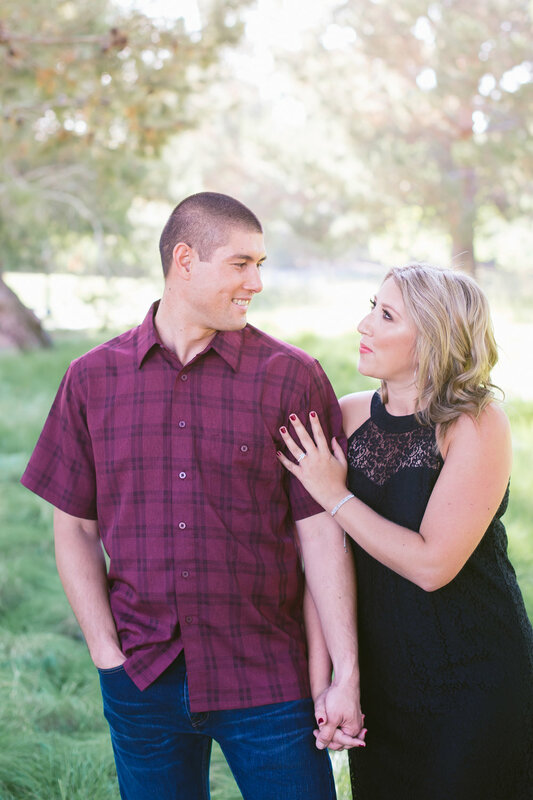 Mark and I look forward to photographing their wedding this June at our favorite wedding venue Strawberry Farms. Enjoy this sneak peek and be on the look out in June for a look into their wedding photos as well.